I feel duly robbed for having been brave and suggesting a 3-1 victory we have a perfectly good goal ruled out in a majestic first half performance that would have seen me rewarded. The more annoying thing was that the same official also waved his flag to suggest to Martin Atkinson that Jermain Defoe should be red carded for taking out James Collins with an elbow. Collins must have thought he was concussed when he got to his feet for he could not believe that JD had been shown a straight red card. Let’s understand what happened here. Tall strapping centre back who most West Ham fans would still have in their back four flattened by the little bloke who it was rumoured won a header early on in his career – I think it was at Charlton. Standing side by side Collins might be forgiven for mistaking JD as his mascot for the afternoon. Unfortunately one of the truly ridiculous decisions that seem to get made more and more often these days by officials panicking to get decent scores from their panel. 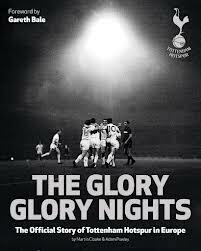 What could have destroyed Spurs chances actually upped the performance level and the first half concluded with a session of keep ball that bordered on the astonishing and reminded me of the 1981 second half cup performance at Chelsea. This had everything but the goals but the ease with which we held the ball was an absolute joy to watch. Now Villa are not a side to set the Premier League on fire this season and even I was surprised at their starting midfield quartet but all we can do is play against that what is put in front of us and that is what we did. We all know what Bale, Van Der Vaart, Modric and Lennon can do and recently we’ve learnt what Palacios cannot. But at Villa Park Wilson sprung back into life and played out of his skin nearly scoring as Friedel made a super save which the officials deemed to be a goal kick. It was as if Billy had had his boots returned in Roy of the Rovers. With the exception of a somewhat subdued Bale our outfield first half performance was astounding with a top draw goal to show for our efforts. Modric saw a cross field channel and hit a fantastic pass from left to right which Hutton picked up before sending a low cross across the six yard line which Van Der Vaart nipped off Defoe’s toe passing it into the corner of the net. It was Van Der Vaart who was running the show. Dropping deep to take the ball, linking well with Modric and Palacios and releasing Defoe into shooting opportunities. When he plays like this it is difficult to stop the team and impossible to mark all our men. Bale may well have run out of room a couple of times and struggled to cause his normal devastation but with our other weapons we can afford a quiet start from him on occasions. Our only other doubt was Gomes. Unfortunately he began in the manner he finished at Chelsea and was lucky to not concede an early penalty when punching through Heskey. Soon afterwards a shot from Agbonlahor bounced from his hands ala Drogba and he then spooned the follow up out for what looked like an unnecessary corner. Once more he looks nervous on corners and crosses and possibly in need of a break. We’ve seen this before from him but I am beginning to doubt whether he has sufficient of what it takes to keep goal for a “top top side.” The difficulties we have seen so far this season have cost us points and then there are the injury breaks which appear do little for the rhythm of the team. I also felt his positioning for Villa’s consolation goal was inconclusive. The cross from Albrighton was first class and put pressure upon our defence. Collins who was now playing as an attacker was the man most likely to get a head on the ball. For me a defensive head was needed to get to the ball first for if Collins heads it Gomes has no chance. But if, like these crosses do on occasions, the ball eludes everyone the keeper has to give himself a chance to take the ball. He did neither and ends up with an element of blame for the goal. So having played so well in the first half how did we do in the second? Unsurprisingly Villa made an immediate change and bringing in Petrov helped to turn the half in their favour. Whilst we conceded much possession we continued to play sensibly and also on occasions to play our way out of trouble when a larrup might have been more appropriate. However, this allowed us to score a second goal of exceptional quality as the ball came to Van Der Vaart whose sublime flick allowed Bale to push it on with the outside of the boot and hare off into space. His cross field pass to Lennon allowed him a chance but he saw Van Der Vaart arriving and a square ball saw him able to guide the ball into the corner. In my Chelsea piece I talked of no one arriving to follow up on the break and this is why Rafa has scored so many. It is a natural part of his game whereas it comes harder to Modric, Huddlestone, Jenas or Palacios. Yes they can do it but not to an 8 chances out of 10. I should also mention Peter Crouch who came on and replaced Rafa for the last 16 minutes. He did nothing up front but tracked back and marked Collins getting his head on nearly everything that was thrown into the box. As a temporary centre back he did a good jib alongside Dawson and Kaboul who were pretty solid throughout. So a fine away win that keeps our pressure on the top 4 leaders and it certainly was the Van Der Vaart show. The difference between us with him on the pitch against it with him absent is noticeable such a talisman he has become. What he does for the others is immense, making himself available to take the ball and then give it back to them and his coolness in front of goal is worth a sack load of points. Defoe was unlucky and will be disappointed that he did not see the game out as he would have fancied a goal from a Rafa pass. Quite how Rafa did not make the Real Madrid side amazes me for in North London we bow to his master’s voice. And so the enforced winter break came to its conclusion and the Christmas/New Year programme was upon us with four potentially winnable games beginning on Boxing Day at Villa Park. In our last game against Chelsea I felt we missed Van Der Vaart and the second goal he might have offered in our opening first half ascendency. I might be in the minority but I was pleased the game at Blackpool was postponed. Had that game gone ahead on a hard pitch I feared that Rafa would have limped out again and maybe missed these thick and fast matches over the holiday period. And Rafa is not alone in his return as Kaboul and JJ are also available for selection. Villa has not had the best of seasons so far. Last year the new defensive pairing of Dunne and Collins were in top form and Villa were tough to beat. This season started badly when they lost their manager and took time to appoint Gerard Houllier. Their camp looks troublesome with press speculation over training methods and new signing Ireland on his way out after a matter of months. So this may well be a good time to play the Villa. Having SkySports News on in the background on Christmas Morning to see the boys training whilst opening a present or two we surmised how squads felt training on Christmas Morning. At the present time we figured Spurs are enjoying training, being on a decent run in an exciting season with a fairly settled squad, whereas West Ham would probably prefer to stay at home after the torment of the season so far. Therefore it follows that Villa probably fit into the latter thought process with a new boss and some dissension in the camp. Consequently if we can start brightly and get in behind Villa early on it gives us a chance to get ahead and then hold them off. I think we can accept that it’s unlikely that we will be defensive so to steal the three points we need to get amongst them for they will also have chances. Gallas will have a test to see if he can make the side and if available gives us a shed load of options across the backline. In my Chelsea preview I had a comment from DavSpurs suggesting that the defensive line up was not the one to win the game. Interestingly he favoured dropping Hutton and Ekotto in favour of Kaboul at right back and Gallas at left back with Dawson and Bassong in the centre. Dav’s suggestion was based upon us being too attacking and getting caught on the counter. Whilst I don’t expect to see such a starting line up tomorrow it does provide us with opportunity as in the Chelsea game our second goal failed to materialise due to our midfielders being somewhat restrained in their forward movement. But the expanded bench allows such an opportunity for change later in the game. We’ve generally swapped strikers around – often to no avail away from home – but if we were ahead the chance to defend that lead with a robust group of defenders sitting across the field allowing us the chance to counter sounds pretty good to me. My other concern is Gomes. After a fantastic penalty save to secure our point you tend to overlook the penalty concession but once again our Brazilian friend got himself involved in the type of controversy that makes you question whether he has the temperament to keep us in the top 4. Great shot stopper but on occasions a nightmare under pressure. For me Cudicini looks a safe pair of hands but has he played enough over recent years to make a spot in a top 4 side his own. So to a side for the game. 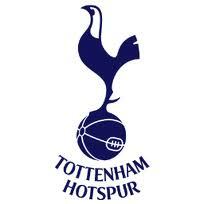 Prediction: Away win 3-1 for Spurs. It was a slow start yesterday afternoon. The midfield was sluggish, Huddlestone looked out of place in the back four, Villa were pushing on and pressurising Benoit. In fact for a while Pav looked like our best player. Then Heskey showing a turn off pace rarely previously witnessed was able to rob Bassong break into the area and cross for Albrighton to tap home. They looked strong; we looked weaker but slowly but surely we began to put together a performance that enabled us to get back into the game and then go onto win it. As we know the game after Champions League is fraught with danger and Villa were both lively and capable. Having failed a fitness test Ledley was replaced by Jenas with Tommy dropping into the back four. I didn’t like him there to be honest. His natural position is midfield and I don’t feel he is good enough in the air to carry it off well. We just about got away with it but JJ put in another strong performance in the midfield. I’ve never been a fan of his but his present form portrays him as a different character. He has been quoted in the national press as suggesting a groin operation has changed what he can do. He should have had the op years ago if that is the case as his eye for an attacking pass has improved beyond understanding. For me he put in another strong performance and linked well with VdV. 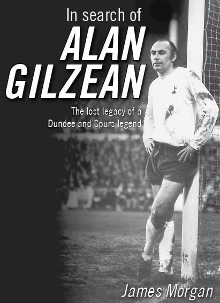 Another player who, like JJ, thought his Spurs career was over is Alan Hutton but after his recent performances I’d suggest that he is back to what he showed us as a new signing nearly three years ago. As it stands his position must be quite safe until Kaboul regains his fitness as both look more positive than Charlie who sat on the bench yesterday. Despite being withdrawn yesterday at half time in what was later described as a “tactical change” Pav had a reasonable first half and as I said earlier looked to be our best player for a period. Yes his free header was not on target and had he headed across the goal Crouch may well have scored and he did nearly challenge VdV just before our equaliser but he was involved in a number of attacks swapping passes with Crouch and others and his perfect cross allowed us to get the equaliser. What possibly cost him his place is his reluctance to put himself up front. He enjoys playing deeper and playing cross field balls. In many ways as a fresh player against tired legs his style offers more than as a starter but he did have chances to score and the Crouch partnership started to show some understanding. The interesting thing is that Pav gets the adulation yet Crouch gets plenty of stick as soon as something goes wrong for him. He’s ungainly, not naturally the strongest and without a song but Van Der Vaart likes him. Twice yesterday he headed across the goal for the Dutchman to score and between those opportunities provided another which Rafa really should have scored. I thought Crouchy did well. Collins is a tough opponent but he stuck to the task and offered much to the cause. In recent months we’ve all been drooling about Bale, and before that Modric. Now we’ve got Van Der Vaart and frankly with the midfield motoring we are going to be a difficult side to stop. I thought Modric had a decent day linking well with his new colleague but he did get caught in possession a couple of times. Bale was quieter but what he did he did in usual fashion and Villa defenders knew not how to handle him. But without question in four weeks Van Der Vaart has become the leader of the orchestra. He wants the ball, he sees the pass and he has a commodity we’ve not seen for a while at White Hart Lane – Raw Power. There was never any doubt that he wouldn’t score the second it was just whether Freidel went into the net with it. The man even had time to hug an older lady in the crowd after equalising! The trouble with these players is that they think faster than colleagues. Berbatov was the last but because VdV is playing deeper he puts more of his stamp upon the game. Modric is up to speed and Bale benefits from balls sent into space for him to run at or to him when he is in space but others need an arm to direct where and when to play it. This was another fabulous performance from the Dutchman. As we drove home we questioned whether he was enjoying his new club? He must be we figured; he is in London, he is the main man, his game seems to suit the Premier League, he’s playing every game and scoring for fun and the supporters are loving every minute of him. What more could we want? Maybe the lady’s seat to share in the goal celebrations! Before the game I’d been suggesting, along with others, that 4-5-1 was not working. In the week we went 4-4-2 to good effect and started this game in similar formation. With the introduction of Lennon were we 4-4-1-1 or something else altogether? Maybe we shouldn’t get too hung up about it as we recovered the match and got the three points. Lennon was better and set up the winner. He might also have had one for himself had Collins not taken his legs away in such cynical fashion. This is a squad without fit defenders but it is developing into a hack of a team. Once we have fit defenders to choose from hopefully we won’t keep giving our opponents a goal start. Even Alan Hansen looks like he fancies defecting to us…..